And if it all turns out to be hype and the market keeps rolling higher? 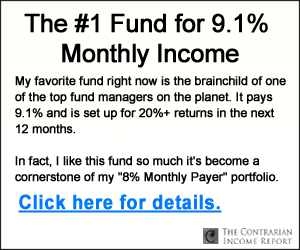 They’re poised to skyrocket while handing you a 7.1% average payout (with one of these stealth buys even throwing off an amazing 9.3% yield!). Let’s take a look at what this latest yield-curve panic means for you. Then I’ll pull back the curtain on my three ironclad 7.1% dividend plays. When the yield curve “inverts”—that is, the yield on the 10-year Treasury note dives below that on a shorter-term Treasury—investors are clamouring for higher yields on short-term money, to help offset the risk (read: potential recession) ahead. Sure, the natural order has returned—but not by much. When the crowd is demanding essentially the same payback on their cash for three months as they would for locking it away for a decade, you know there’s plenty of fretting going on. We’re not going to stash cash under the mattress—or in Treasuries. At 2.49%, the 10-year gives you just $24,900 in income on a million bucks. Your favorite Starbucks barista does better, before tips! Meltdowns tend to come long after an inversion. The best test case we could ask for—the 2008 crisis—is a prime example. Back then, the yield on the 10-year fell below that of the 2-year on December 27, 2005—nearly two years before the stock market crested in October 2007, and three years before it really tanked in September 2008. The takeaway? Going to cash now is a great way to miss out on at least a year of gains and dividends—and likely more, with the economy firing on all cylinders. But we still need to be prudent, and that’s where those three “yield-curve-proof” plays I mentioned earlier come in. The good news? I’ve found a low-key way to buy our “utes” at a double-digit discount—11.4% off, in fact! So we’re essentially rewinding the clock and paying 2018’s prices now. 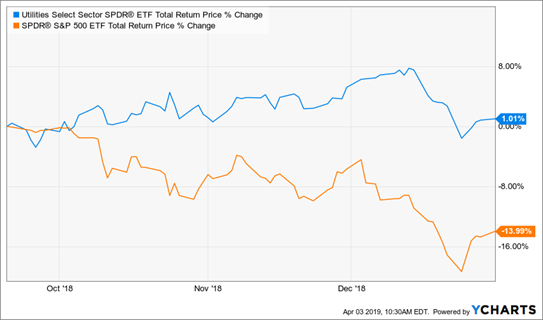 It’s a closed-end fund (CEF) called the Duff & Phelps Global Utility Income Fund (DPG), payer of an outsized 9.3% dividend. 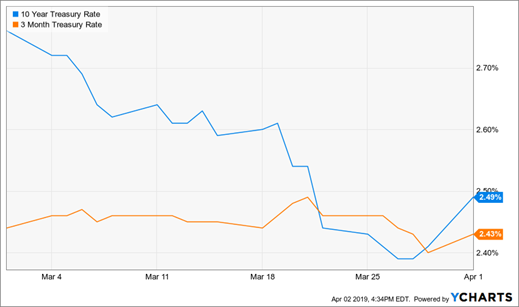 DPG’s holdings include some of the steadiest names in the business, such Next Era Energy (NEE)—whose stock is 70% less volatile than the market, per its “beta” rating—American Electric Power (AEP)—83% less volatile—Canadian electric utility Emera and Britain’s National Grid. That 11.4% markdown I mentioned is the fund’s discount to NAV, CEF-speak for the fact that DPG’s market price is now 11.4% below the value of the stocks it owns. 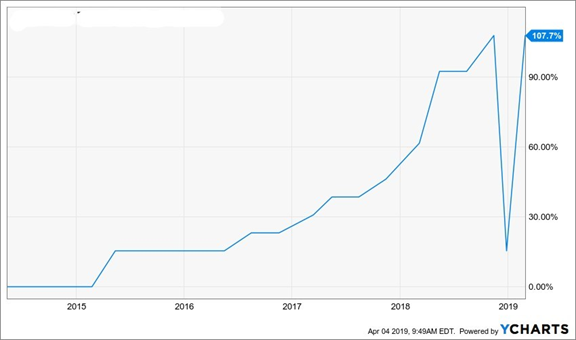 Here’s a conservative way to look at that number: if DPG’s markdown narrowed to 7.7%—easily doable, as that’s what it hit when the market freaked out in early 2018—you’d be looking at quick 4% upside to go with your huge 9.3% dividend. 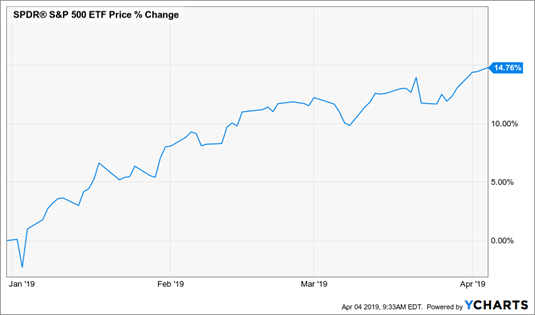 There’s one more thing bulking up DPG’s crash-resistance, and it comes back to the dividend: at 9.3%, you’re getting a huge part of your gain in cash, not here today, gone tomorrow paper gains. Hold DPG for 11 years and the dividend will have “paid you back” 100% of your original investment. 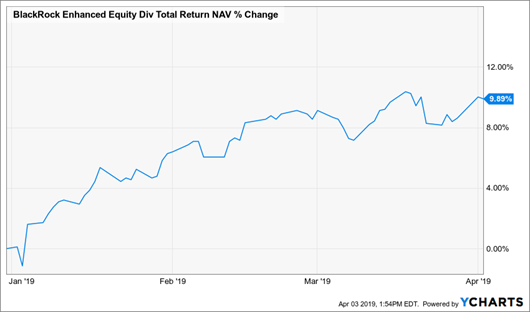 The BlackRock Enhanced Equity Dividend Fund (BDJ) is another CEF primed for “snapback” upside: you can grab it at a nice 9% discount to NAV, well below the 7.8% average discount over the last year and double the 4.6% it hit just last August. One thing I love about BDJ is the fact that it pays its handsome 6.4% dividend monthly instead of quarterly, which matches up perfectly with your bills and lets you reinvest your cash—and build your income stream—faster. 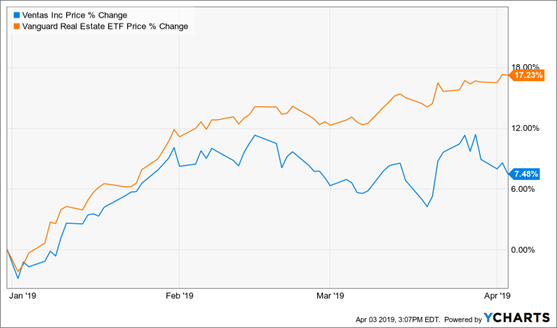 You’re probably wondering how BDJ can build up a 6.5% payout from a portfolio of stocks like Wells Fargo (WFC), with a 3.7% yield, Citigroup (C), at 2.8%, and Microsoft (MSFT), at just 1.5%. There’s a two-part answer: 1) It generates extra cash by selling options on its portfolio, a strategy that thrives when markets whipsaw, and 2) It gets an extra push from its wide discount, because its annual dividend rate of 56 cents is just 5.9% of its NAV—an easier return to get than the 6.5% yield on market price. In fact, BDJ has already bagged that and more, with its NAV return (including dividends on the stocks it holds) up nearly 10% in the last three months alone. Big healthcare spending, which now sits at 10,348 per person in the US. As a REIT, Ventas is obligated to funnel most of its rent checks over to its investors as dividends. Its payout yields 5% and is well covered, accounting for 75% of normalized funds from operations (FFO, a better REIT metric than earnings). That’s served up a chance to snag VTR at 15.4-times FFO. Put it all together and you’ve got a great dividend stock to buy and sock away forever. The mainstream media is forgetting one critical thing in its breathless coverage of the inverted yield curve: this indicator hasn’t always been right. And even if it is on the nose this time, its annoying tendency to be way early means we could still be looking at a bull run two or more years long. The upshot? Selling now could mean taking your money out just as the market takes off on its next leg up! Did You Miss This “Bounceback” Run? If there’s one chart that shows the dangers of selling on a panic (or trying to time the market in any way), it’s this one. Luckily there’s a better way: the 5-stock portfolio of “pullback-proof” dividends (average payout: 7.5%) I’ve assembled for you right here. Like the 3 stocks above, they’re all cheap, despite the market’s latest surge, which sets them up to skyrocket on the next upswing. And if the market tanks? We’re covered there, too: these 5 stocks’ bargain valuations set them up to just trade flat. And we’ll still collect their outsized dividends! The bottom line? I’m calling for 7% to 15% yearly price upside from these 5 “steady Eddie” picks. The best part is that these payouts are growing! 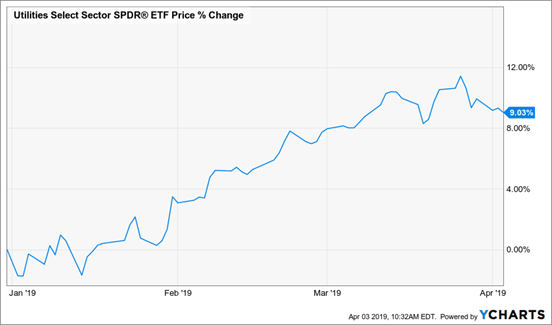 Consider my top pick of this quintet, a REIT paying an incredible 8.5% dividend that’s DOUBLED in just the last four years. That dip you see in the chart above? No, it’s not a cut: it’s a one-time special dividend management shovelled out the door in December. That’s right: this dynamic company is generating so much cash its execs are practically begging us to take it off their hands! My entire 5-stock “pullback proof” portfolio is waiting for you now. 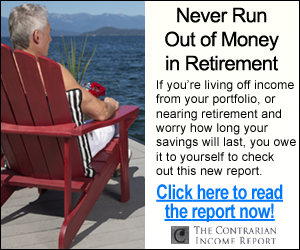 Click here to get full details on these “must-have” retirement plays: names, tickers, buy-under prices and the full story on how they generate their outsized dividends (up to 8.5%).